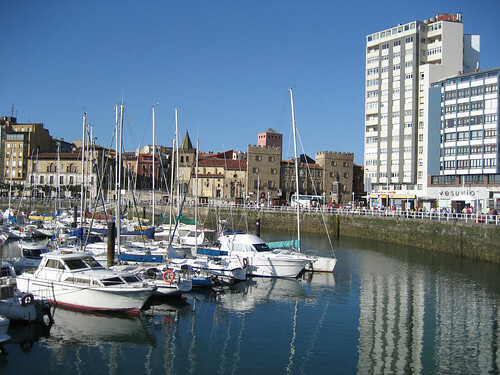 Gijón in Asturias lies on the north coast of Spain and contains a major port, “El Musel”. Gijón is near Avilés and Oviedo, two other major Asturian cities. The best time to visit is in summer, when it’s cooler than the rest of Spain, due to the Atlantic breeze. Gijón offers nine beaches along its extended shoreline, with San Lorenzo the larger and most popular, plus a smaller recreational boat port. Day trips by boat are mostly available from El Musel. Gijón’s old quarter offers nightlife and excellent dining. You can take a stroll along the sailors’ quarter at Cimadevilla and visit the Church of San Juan Bautista. Even if you stay in the city you’re never too far away from nature. 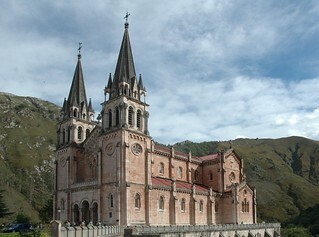 Day trips to the nearby mountains Picos de Europa, the lakes of Enol and Ercina, the wildlife reserve of Muniellos, the sanctuary of Covadonga and the cathedral of Oviedo are recommended. Gijón’s museums include the Revillagigedo Palace and Museum near the City Hall, the Railroad Museum (Museo del Ferrocarril) by Poniente Beach. The wonderful Centro de Arte y Creación Industrial is a combined science, technology and contemporary art exhibition centre. There’s even an International Bagpipe Museum (Museo Internacional de la Gaita) with a focus on Asturian musical heritage. It’s not just Scots who play the bagpipes! Gijón events include the Semana Negra (Black Week) festival on hardboiled literature and the Gijon International Exposition Fair. There’s also the Cinema Festival in November, El Antroxu (on Carnival Tuesday before Lent) and San Miguel day on September 29th. Gijón is close to Santander, the destination of a ferry from Plymouth, so a self drive holiday with your own car is an option. The city is also accessible by rail with daily services to Barcelona, Alicante, Madrid and Zaragoza.